Our Cantonese transcription services specialise in transcribing Cantonese from all forms of visual and audio media. We can transcribe Cantonese from court tapes, police interviews, court cases, speeches and social functions. In fact, we can transcribe almost anything that you provide to us. Finding the right transcriber can be a daunting task. 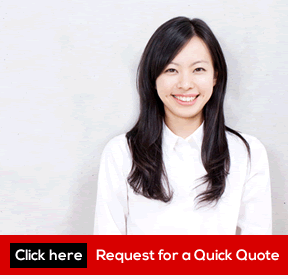 Therefore, we offer a FREE quotation for anyone interested in Cantonese transcription in Hong Kong or for anyone with general queries into the different services we offer. This is to ensure that you are completely satisfied with the work you want us to transcribe from the Cantonese language. 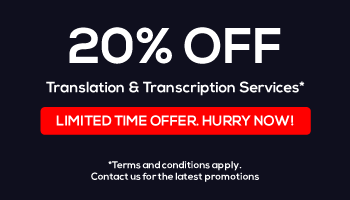 Translation Service Hong Kong is one of the industry’s leading transcribing providers and we take special care in our Cantonese translations. No matter what needs to be translated, our translators and transcribers want to ensure all Cantonese translations are provided with clear and concise transparency. We are confident that our staff will provide their work with professionalism, care, and consideration. As part of the service, we can transcribe from various audio formats. We can also provide these different formats in analogue and digital forms. Audio files and formats transcription conversions include MP3, MP4, AVI, DIVX, RA and FM, cassette tapes, CD, USB and much more. Please inform us of the audio file best suited to your needs. Our staff are more than happy to assist individual requests. We pride ourselves on making this an affordable service that is easily accessible, no matter what your media needs are. Our transcribers will translate, record and publish onto any desired media format you want. Please ask us if you need any more information about conversions and digital formatting technicalities. Many people who do not speak the language have difficulty understanding and translating the language. Cantonese is predominately an oral language influenced by the characteristics of the Ancient Chinese dialect. It is often spoken throughout South East Asia, Cambodia and Indonesia. The language can also be heard throughout many communities within China. Approximately 62 million people speak the language in China and it is one of the most commonly used languages spoken throughout Hong Kong. Why choose our transcription services? Our Cantonese transcriptionists and trained typists can produce detailed verbatim transcripts where each word is carefully translated and written, or if requested, we can provide a descriptive summary of your chosen media. We are more than happy to include other details with the verbatim transcripts, including date and time. If requested, we can also provide a Cantonese transcription for real-time recorded events such as meetings and business functions. If you have any questions, need any information or would like to enquire about our Cantonese transcription in Hong Kong. Call us today for a FREE quote. We are ready to assist you and your needs with our professional and flexible service.